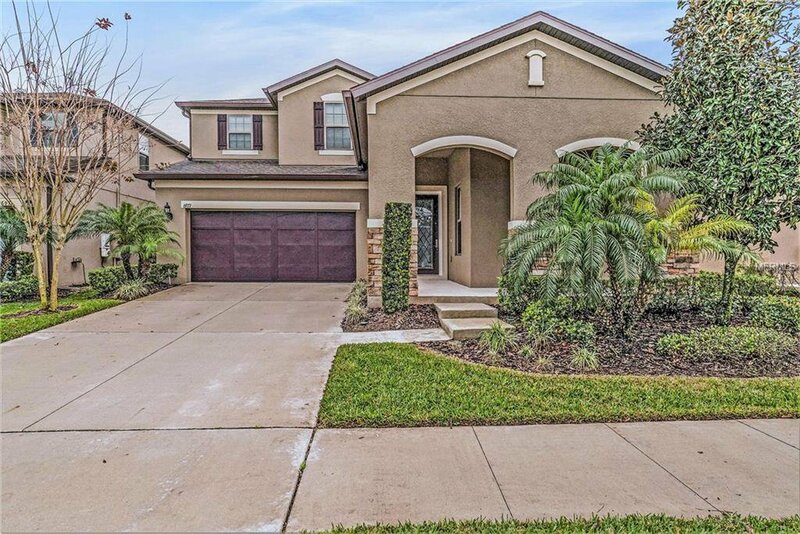 Built in 2013, this Windermere two-story offers stainless steel appliances, granite kitchen countertops, master bathroom with separate tub and tile-surround shower, den, screen-enclosed covered patio, and two-car garage. Community pool, park, and trails are part of the HOA. Home comes with a 30-day buyback guarantee. Terms and conditions apply. Listing courtesy of OPENDOOR BROKERAGE LLC. Selling Office: CENTURY 21 CARIOTI.